Located on the border with Botswana, Hwange was proclaimed some 75 years ago and has served as a haven for one of the densest concentrations of game in Africa. 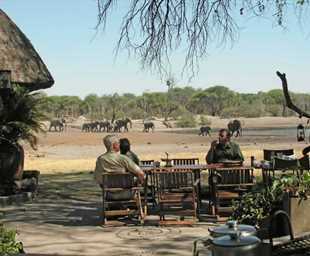 In particular, its great herds of Cape buffalo and elephant are a sight to see. 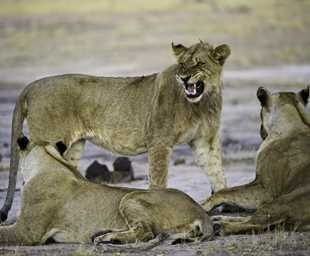 Hwange National Park is the largest game reserve in Zimbabwe at 14,500 km² with varied habitats and vegetation types. The park has some of the highest mammal diversity for any national park in the world. With over 100 species the diversity is incredible and includes various types of mongoose, honey badger, black-backed jackal, bat-eared fox, side-striped jackal, lesser bushbaby, vervet monkey, baboon, porcupine, aardwolf, spotted hyaena, caracal, leopard, African wildcat, lion, scrub hare, southern giraffe, hippo, springhare, warthog and Burchell's zebra. 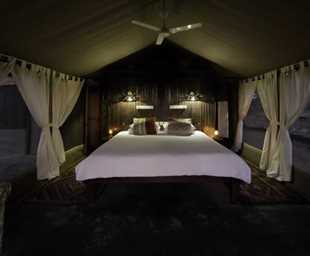 Little Makalolo Camp lies in the heart of Hwange National Park, in one of its best game viewing areas, overlooking a vibrant waterhole..
Idyllically located in the spectacular Matobo Hills, the renowned Matobo National Park is known for its rich human history, its remarkably diverse flora and fauna and its magnificent rugged terrain. This unspoiled natural wilderness features a range of massive red-tinged, granite boulders interspersed with gorgeous wooded valleys making it a dream destination for hikers, climbers and nature lovers alike. 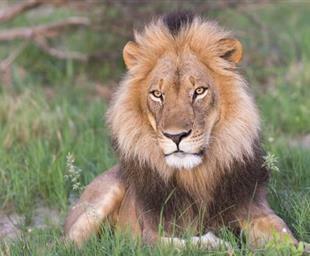 The reserve is compact, easily accessible and is home to an impressive range of African wildlife including the highly endangered black and white rhinoceros, zebra, wildebeest, giraffe, cheetah, hippo, warthog and crocodile as well as Africa's largest concentration of leopard and black eagles. This unforgettable national park serves as an ideal stopover for travellers heading to the popular tourist sites of Hwange and the majestic Victoria Falls.